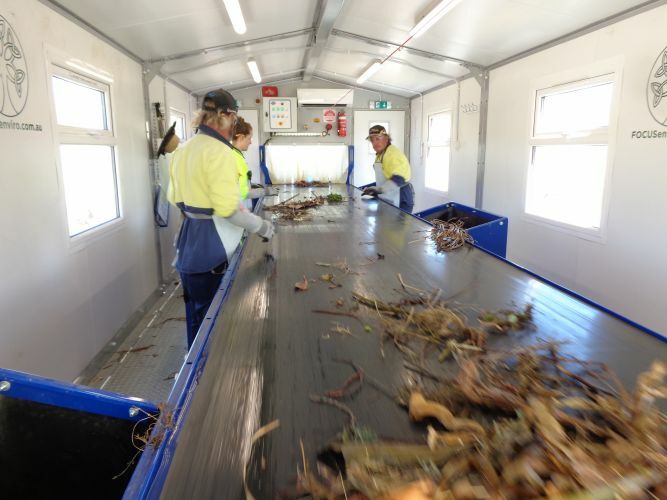 A GREEN waste decontamination plant for the manual removal of pollutants from garden waste collected in the City of Cockburn’s new lime-green lidded bins has begun operation at Henderson Waste Recovery Park (HWRP). The first loads of green waste from the new bins were processed at the new $690,000 plant this month, as part of the City-wide roll-out of the three-bin system. It is the start of the City’s push to transform local household garden waste into saleable, high quality mulch that will help fund more projects, services and infrastructure in the community. Engineering and Works director Charles Sullivan said the new 240L garden waste bins would be rolled out to more than 29,000 homes in the City on lots greater than 400sqm by June 30, 2019. The Council approved a $689,105 tender in July for EMER Pty Ltd to design, fabricate, install, test and commission the plant, which was delivered to HWRP early last December. “The plant will operate one to two days a week to process green waste from the City’s third bin which will increase as the third bin roll-out is completed,” Mr Sullivan said. “Once fine-tuned in coming months, we hope to secure additional, external green waste deliveries until green waste supplies from the City’s new kerbside garden waste bins increases. “At the moment staff members are processing about one truck load an hour but this will improve as they become more familiar with the equipment.